Since January's meeting was cancelled due to weather, we had quite a bit of show & tell at February's meeting. I just love show & tell! 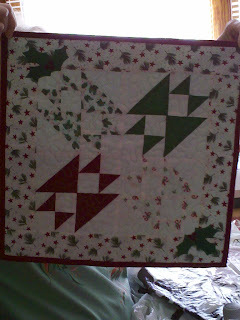 Pat made these sampler blocks and center for our Club BOM called Family and Friends by Lori Smith. 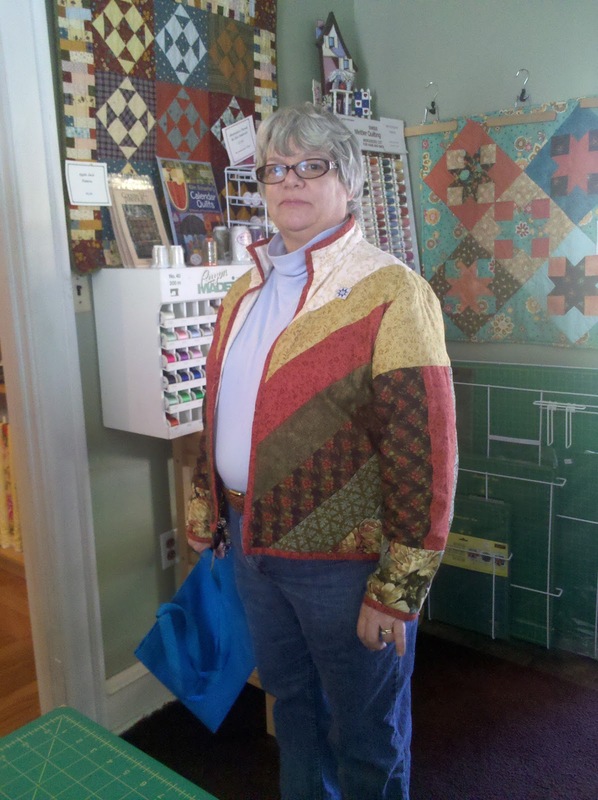 Mary Alice made a tumbler quilt and is busy knitting a scarf. 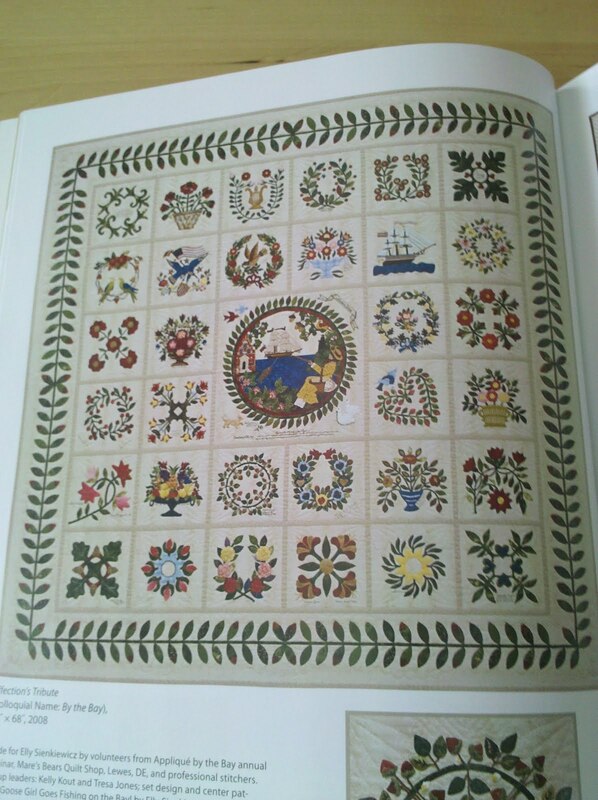 Anita made this very special memory quilt for her Mother. Pat made this quilt for a challenge for the Heart & Home Quilters Guild in Kutztown. The challenge was called "Name that Tune". 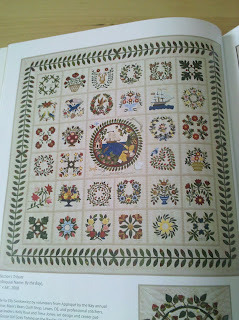 Her quilt was made for the tune "I Heard it From the Grapevine". Very Clever! Stacey is making a raffle quilt for the Moose. This is the quilt so far. 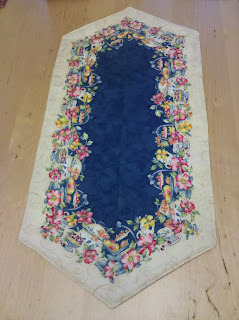 It will have a moose appliqued on it after it is quilted. Judy was busy again making bags! As you can see, we have very busy Club members! They are all so talented and make wonderful things! I look forward to seeing what they have done till next time. I thought I would try to get caught up on some Club Show & Tell. These are from December's meeting. Pat made this cute penguin quilt. 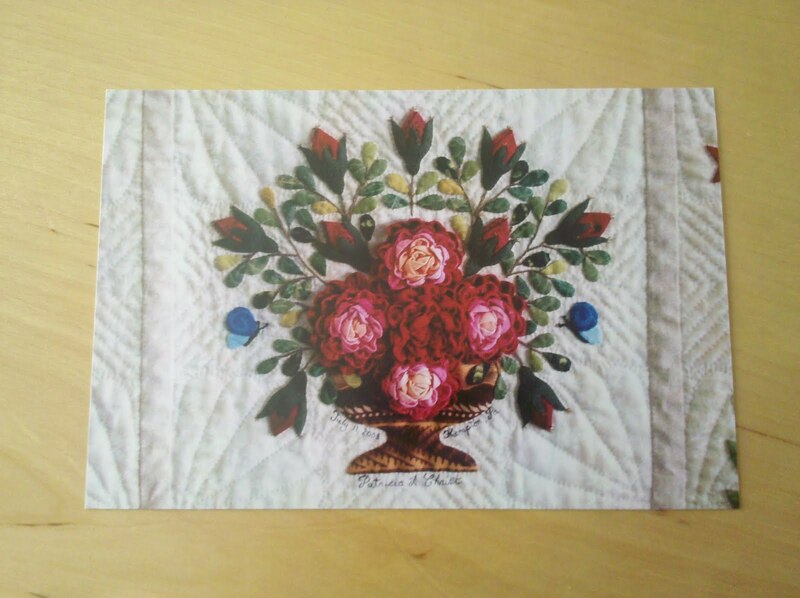 Zlaty made these two quilts. A cute snowman quilt and a beautiful coffee quilt for her Mother. Pat made this darling quilt for her Grandson Dexter. We also had a surprise baby shower for Zlaty from the Club Members. 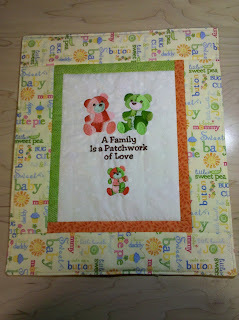 Everyone made her a 6" block using a common fabric in each block to use for the baby. Some even made more blocks. They were beautiful. I'm afraid that I didn't get pictures of them, but will be sure to add pictures at a later time. Thanks Pat for the lovely idea! And Thank you to everyone that made such beautiful blocks and made this such a special meeting! 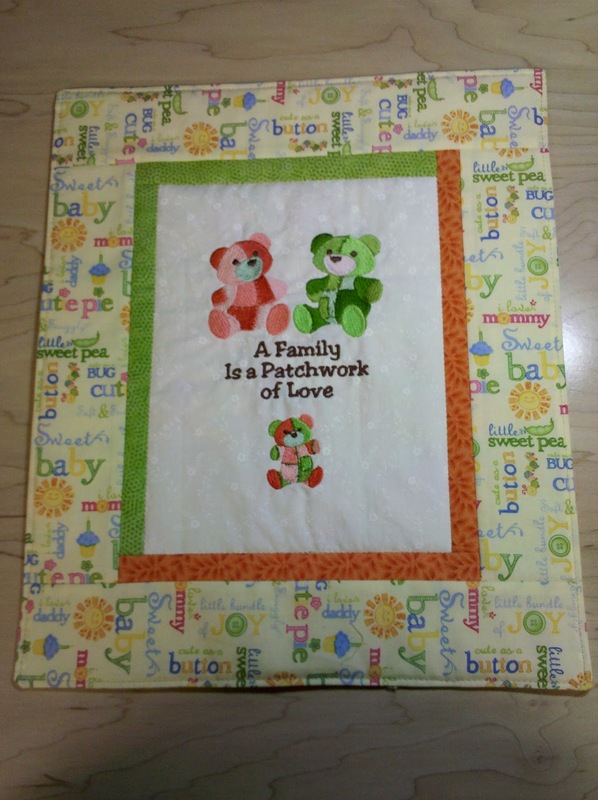 I made a wall hanging for Zlaty's baby shower in November and finished the quilt for my Granddaughter after she was born. For the wall hanging, I used Zlaty & Scot's favorite colors for the Mommy & Daddy bears and then combined the two for the baby bear. 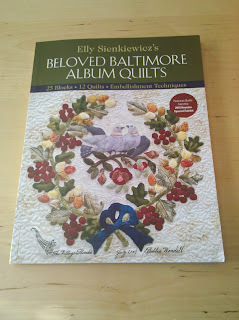 For the quilt, I used a pattern from Possibilities and added my own border to it. 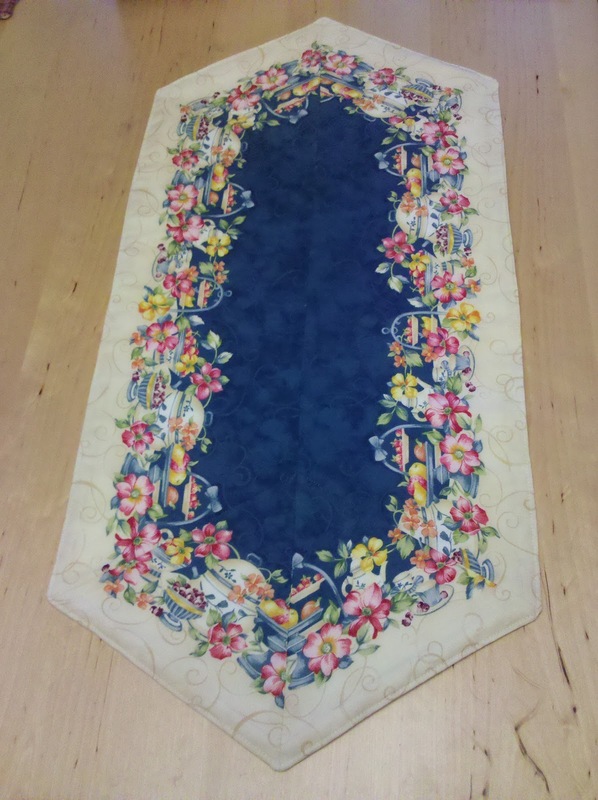 I also made the Sunbonnet Sue half the size of the original, so that I could keep the quilt smaller. 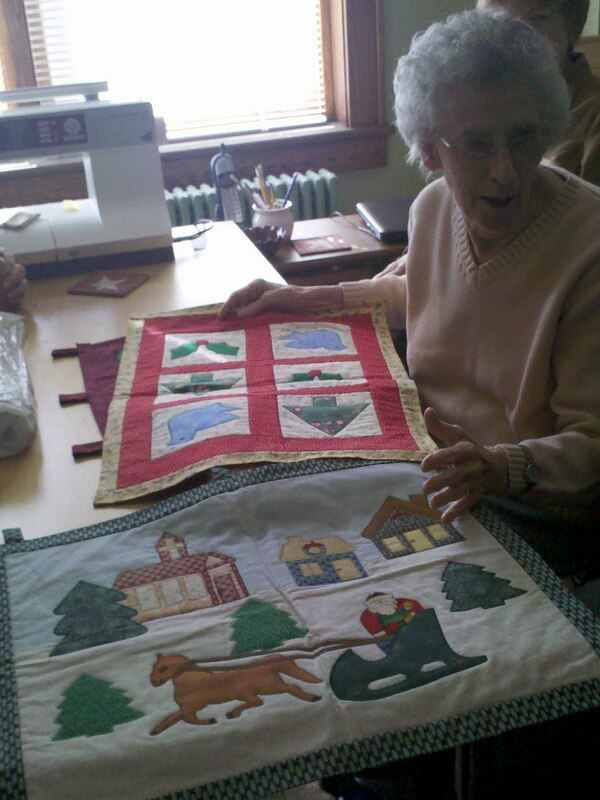 I hope that Veronica will always treasure the quilt that her Grammy made her. 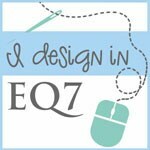 I am always very happy to see what some of my customers and friends have been up to. Here are pics from some of them. A beautiful jacket made by a shop hopper. Anita made this wonderful Easy Striped Table runner. 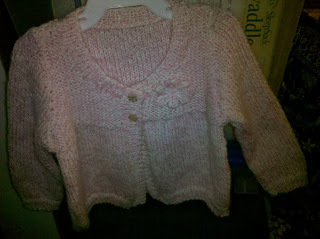 Leisa knitted this beautiful sweater for my new grand daughter Veronica. 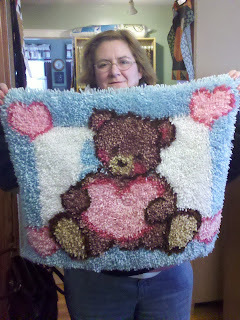 Stacey made this cute latch hook teddy bear rug for my grand daughter. Aren't they all just lovely?! 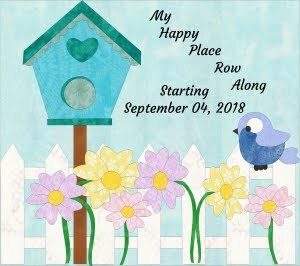 I am going to try to get a little caught up in my blogging. Pat Christ made this beautiful baltimore album quilt block which was part of the quilt shown in the picture above from Elly Sienkiewicz's new book called Beloved Baltimore Album Quilts! Mom made these wonderful Christmas quilts. 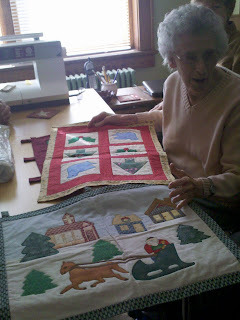 Edna made a darling Christmas quilt putting a twist on my pattern "Pumpkin Spice".